There are several other place-names with Muiceanach (pig-like) in Connemara (Muiceanach Choille and Muiceanach Idir Dhá Sháile). This element is found mainly in Connacht and refers to a hill or ridge shaped like a pig's back. Previously Meachanach in MV. Muckanaght is the 188th highest place in Ireland. 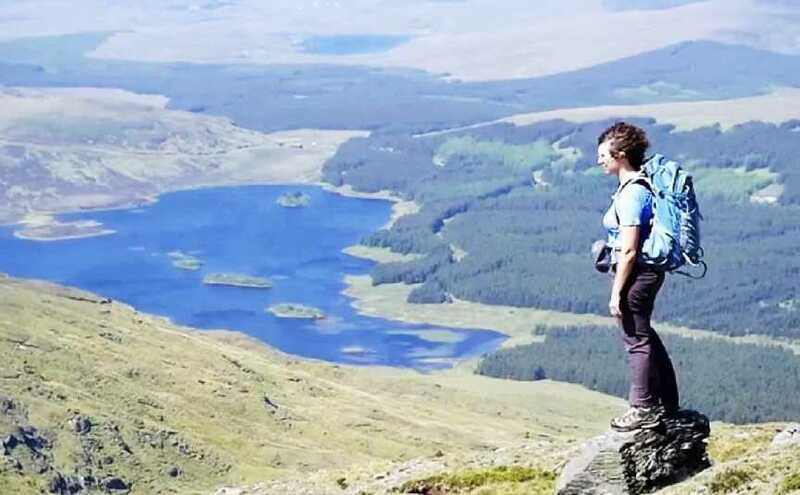 "This tough 23 km circuit in the 12 Bens of Connemara in County Galway offers some of the best hillwalking in Ireland. Steep quartzite peaks tower over valleys of vivid green and pink bog-land inset with serpentine rivers and deep blue lakes. Beyond, the ragged coastline with ribbons of yellow sand is washed by the restless Atlantic Ocean. This 12 summit circuit will take in the region of 12 hours to complete and involves a climb of over 2,000m ascent. It is not for the faint hearted and will require high levels of fitness and navigational proficiency, especially in poor weather conditions. It is best tackled in the long hours of daylight during the summer months." I think that this is one of our best mountain movies.